Emma Stone deserves a trophy – or at least a round of applause – for her gorgeous red-carpet look last night. 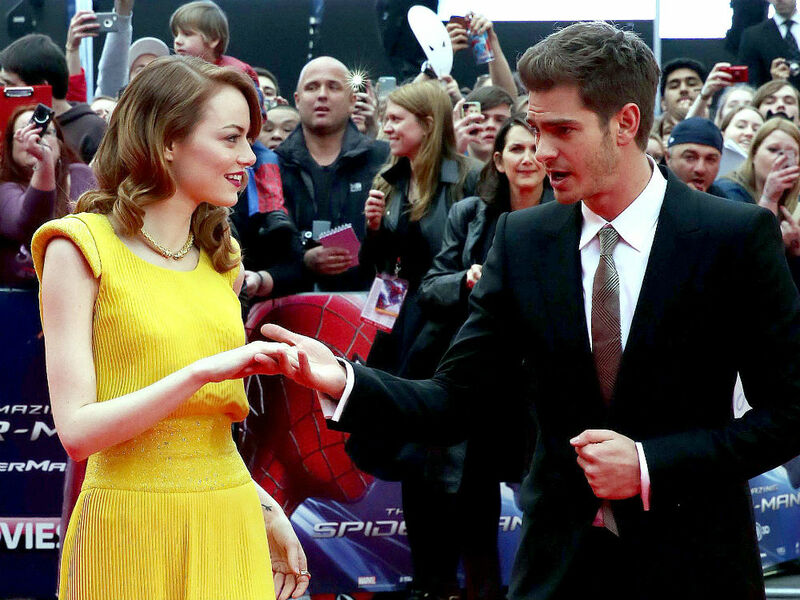 Dressed in a statement-making Versace gown, the 25-year-old Spider-Man 2 star made a stunning entrance at the film’s London premiere. From the delicate pleats on her dress to the gold choker around her neck, everything about her look was spot-on. And after seeing the contrast of the fabric against her red hair, it’s clear that canary-yellow is definitely Emma’s colour. But Emma’s best accessory last night was her handsome boyfriend, British-American actor Andrew Garfield, whom she’s been dating since 2011. Because the two costar in the Spider-Man films, they’ve had plenty of adorable couple photo opps over the past few weeks – and we can’t get over how cute they are together. If they have this much chemistry just posing together on the red carpet, we can’t wait to see them heating up the big screen.